For a coffee table book that oozes serious style, The Big Book of Chic is your go-to tome. Compiled by acclaimed interior designer (and dapper Southern gentleman) Miles Redd, The Big Book of Chic is an exhaustive catalogue of Redd’s inspiration touchpoints – as well as his own quirky, yet always hospitable style. 300 pages strong, with a sturdy hard cover and dust jacket, The Big Book of Chic is the perfect accoutrement to your coffee table. 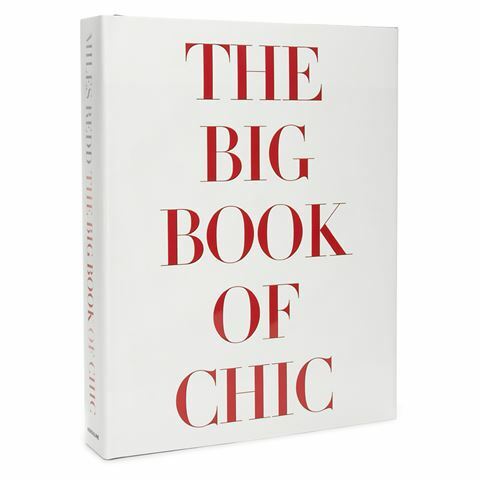 For browsing with a friend and a cup of tea, poring for decorative inspiration, or simply to enjoy on your own, The Big Book of Chic won’t ever fail you. Beautiful coffee table book makes a thoughtful gift. Dimensions: 25cm (l) x 33cm (h) x 5cm (w).